By Natalie on 09/22/16 • Leave a comment! Lenovo has adopted the catchy slogan “better never stops,” which really seems to suit the company’s penchant for coming up with neat improvements year after year. 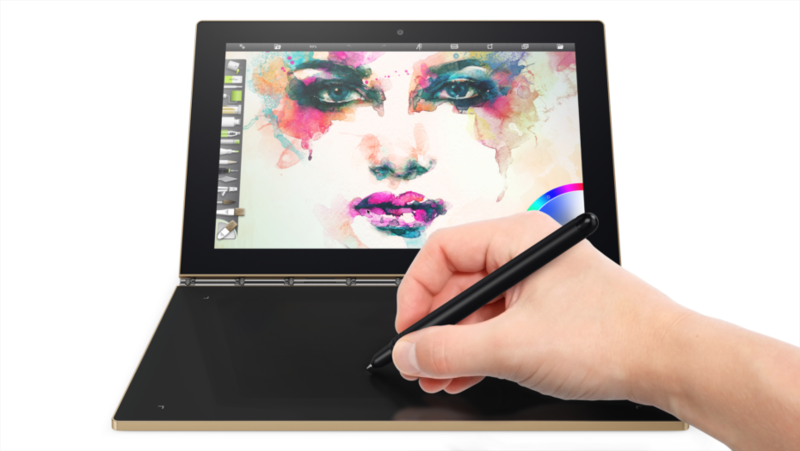 Lenovo’s Yoga line of specialty tablets is not easy to define. The trademark feature of Yoga devices is a clamshell design that combines a touchscreen with another functional surface, joined together by a unique hinge mechanism that is unlike any other found in the laptop, netbook and hybrid market. This feature is present in the new Yoga Book, but Lenovo has come up with a couple of interesting surprises. If you’re going to buy the best Ultrabook, the common wisdom is to get a Macbook Air. That’s what this article is being written on and it’s definitely a solid machine. But there are other companies out there constantly trying to kick it from the top of the hill and it’s getting so that it’s kind of due for a refresh soon anyway. 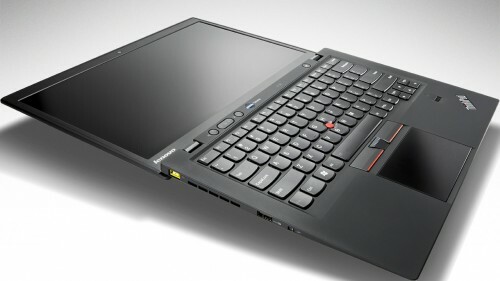 So the Lenovo ThinkPad X1 Carbon could very well be the one to take its place. See, we like the aluminum unibody, but carbon fiber? Well then, if you put it that way… Aside from the unique chassis material, the X1 Carbon is a 14 inch laptop weighing-in less than 3 pounds and measuring 0.71 inches think. It has a 1600×900 screen, a spill resistant a backlit keyboard, a 720p front facing webcam, embedded 3G, and RapidCharge (charging the battery to 80% in as short as 30 minutes). What sort of hardware is in it? There isn’t much info on that, other than the fair bet that Intel’s newest generation “Ivy Bridge” processors will be churning out the computations. It’ll be available in summer 2012 for an undisclosed sum. By David Ponce on 11/30/11 • Leave a comment! This $866 rebate represents a 51% deal on the original $1,699 price tag. 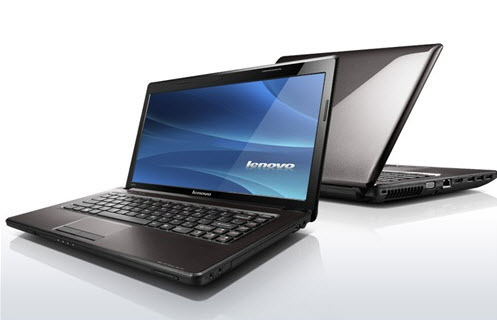 So you’re looking at a half price Lenovo ultra-slim notebook. This one is called the E220s, and the 12.5 inch machine comes with a 128GB SSD and a Core i5 processor. 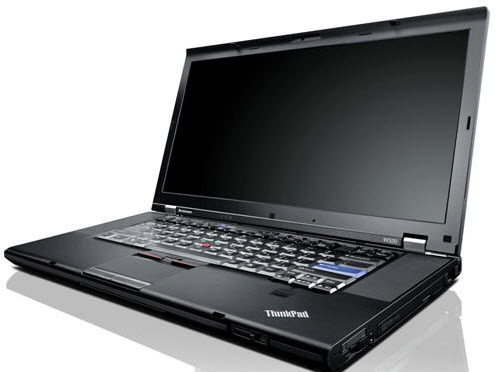 IBM used to have a laptop business, until they sold it to Chinese company Lenovo a while back. Since then, their product have continued to enjoy high reputation among customers and most models offer excellent value. “Lenovo’s G470 laptops are entry-level machines with a lot of features for the money. Your choice of 2nd generation Intel Core i3 or i5 processors are backed up by up to 8GB of DDR3 RAM and either 500GB or 750GB of storage. Select models can be had with a Blu-ray drive, while Windows 7 Home Premium 64-bit and a 6-cell battery are included on every system. You’ll also find HDMI output, four USB 2.0 ports, a 5-in-1 card reader, and 802.11n WiFi on every model.” And today you can have a Core i3, 4GB RAM, 500GB HDD configuration for $499 after $300 in rebates. Many of the deals we announce on this column sport processors made by Intel. But not today’s IdeaPad Z575 from Lenovo. 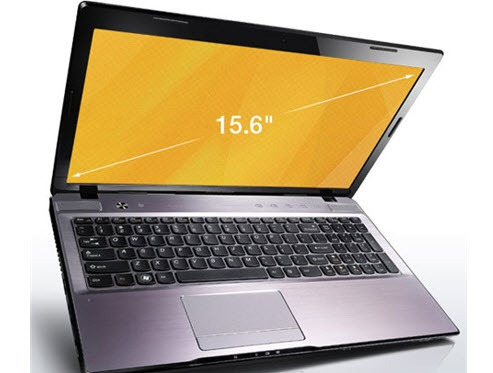 The 15.6-inch laptop features up to an AMD A8 quad-core processor which have Radeon HD graphics integrated into the CPU. The Z575 weighs 5.73 lbs and is 1.4 inches thick, coming well featured with three USB 2.0 ports, one eSATA/USB combo, media card reader, Ethernet, VGA, and HDMI. Today’s deal has you saving $250 on the AMD A4-3300M 2.5GHz dual core model which comes with Radeon HD 6480G integrated graphics, 4GB DDR3 RAM and 500GB hard drive. Final price is $449 shipped. By David Ponce on 10/12/11 • Leave a comment! Last time we looked at a deal on the Lenovo E220s, only a couple of weeks ago, it was discounted by only $790. We kid, $790 is a lot of money! But $860 is even more, and that’s how much today’s deal is knocking off of this 12-inch, Core i5 (the other was a Core i3! ), 4GB RAM, 320GB hard drive laptop. After all is said and done, you’ll get it shipped to your home for $559. Whether you’re a mobile professional, a student, or just someone who needs an affordable notebook for work and play, the ThinkPad Edge E420s is a compelling choice. This laptop offers a great typing experience, solid performance, and strong battery life. By David Ponce on 09/21/11 • Leave a comment! 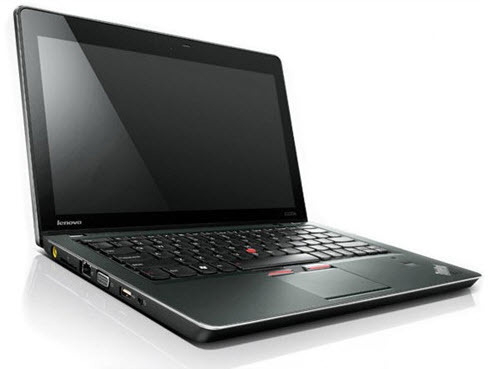 The ThinkPad Edge E220s has an excellent balance of size and performance, with a great keyboard and touch pad and all the necessary ports in easy-access positions. 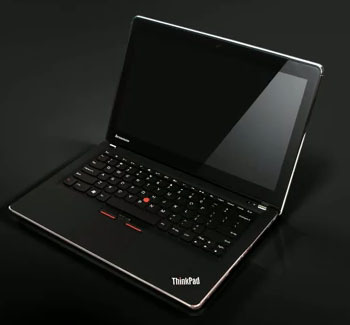 It’s a 12-inch ultralight that comes in Core i3 and i7 configurations. The Core i3 usually costs $1,349, but is seeing a $650 instant rebate coupled with an extra 20% off, leaving it at $559 with free shipping. By David Ponce on 08/03/11 • Leave a comment! Today’s deal will please a certain type of demographic. 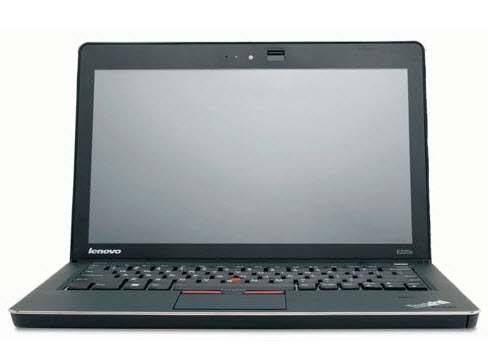 Say you work in a business that does tremendous amounts of computing work, continually crunching numbers, preparing presentations, gobbling up gallons of printer ink for some dossier or other and shuttling from one place to another… then you’ll need something like Lenovo’s W520. Variously described by reviewers as an “ultra-powerful mobile workstation with a full HD screen and more than 9 hours of battery life” that “promises performance that’s on a par with or exceeds the most powerful desktop PC money can buy”, the W520 sounds promising. But so does its regular pricetag, which can reach north of $2,900. Well rest easy as today’s deal will bring all models configured above $2,255 down by this much: 10% off, plus $956 in instant savings, plus another 20% coupon. This leaves the W520 at $1,039.